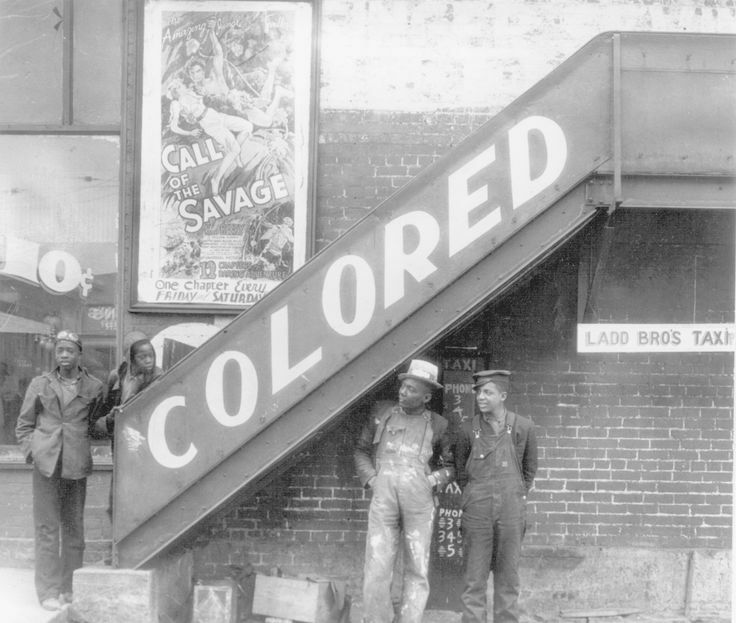 Stairways used to be segregated, to quote Isabel Wilkerson, “so the soles of their shoes would not touch the same stair.” Some theaters had external entrances accessible by stairways akin to fire-escapes which led colored patrons to the hot upper-balcony seating; more numerous, more steep and more exposed to the elements. The internal, carpeted steps with smooth, varnished banisters led white patrons to the well-vented, unobstructed main-level seating. These no longer exist, but that’s not to say similar principles no longer apply. Privilege is a good word, not a bad one. Its connotations overwhelmingly positive; fortified with the soul-nourishing nutrients of gratitude, humility, contentment and purpose. For instance, I am privileged to be a husband and father, privileged to be employed, privileged to be in good health. For all this, I feel blessed. Who am I to come into such bounty? The recognition of privilege appreciates that we have been beneficiaries of forces external to ourselves; outside our powers of control. Privilege is the foil of entitlement, redirecting our attention to endowments, causing us to treasure them. Yes, privilege has the power to animate those human faculties of kindness, responsibility, compassion and magnanimity which deploy us into the world as life-givers. Yet it carries with it an existential threat; like a conceptual Trojan horse, it might occasion the overthrow of our sense of personal credit—if permitted past our gates of defense. You see, external credit—especially beyond one’s agency—is a diminution of self-credit, and undeserved prosperity is anathema to the American ethos, is it not? And so we come to privilege not entirely under amicable terms; it is more of a truce. “I will acknowledge you only so long as my own credit remain intact.” But privilege will never comply with this, because the truth will never comply with this. Thus, we are all prone to subscribe to a myth of singular self-credit; or at least we must preserve self as the majority agent in our personal credit narrative—and this usually carries over into our corporate identities. 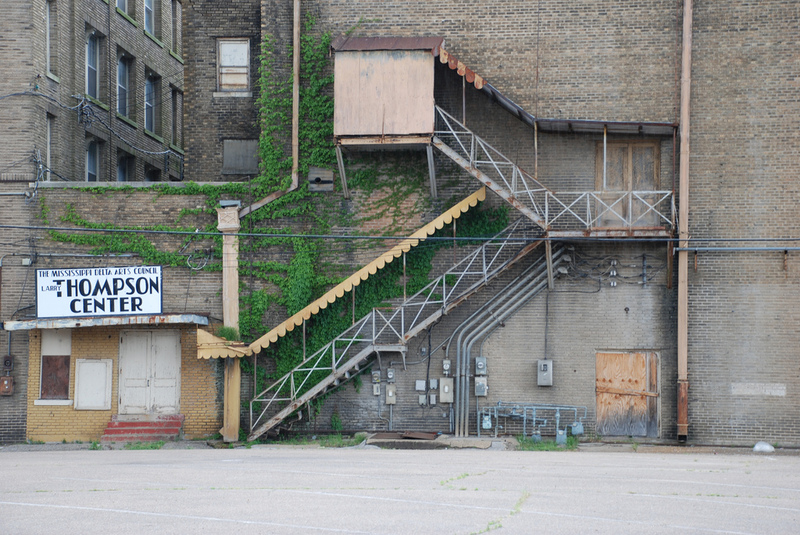 No one wants to be confronted by the notion that there are two sets of stairs, and that theirs is the carpeted, sheltered, dependable set leading to a preferable location. We prefer the other set be tucked in the back-alley; out of sight. No one wants to be confronted by the revelations that we pass, as it were, through unequal portals, and that this may, in large part, explain why we end up in prefereable localities along with others like us. I think whites are carefully taught not to recognize white privilege… So I have begun in an untutored way to ask what it is like to have white privilege. I have come to see white privilege as an invisible package of unearned assets which I can count on cashing in each day…White privilege is like an invisible weightless backpack of special provisions, maps, passports, codebooks, visas, clothes, tools and blank checks. As with all forms of privilege, an unwillingness to come to terms with it has a compromising effect for us and others. The question then becomes what is the responsible thing to do with such “special provisions” and how to relate with those who lack them. Acknowledging the corporate responsibility and culpability of the sin of racism can lead to the revelation of the system of white privilege, a system that oftentimes goes unrecognized in the dialogue over race. Privilege, therefore, is power. Privilege, when it is unnamed, holds an even greater power… The power of privilege is that it can go undetected by those who are oppressed by it and even by those who have it. My friend said nothing; could say nothing. As with most such conversations, this was a blind side. My friend side-stepped the topic and endured the remainder of this straining interaction. She was reeling. The woman, oblivious. This interaction only unveils an unspoken recognition that playing fields are indeed slanted—and we insist they remain so to our advantage. Of course this woman was unwittingly acknowledging her sense of privileged entitlement and reaching for her privilege card simultaneously; she was going to move someplace where the the slants went her way. Retreat to a fortification against the take over. This option is a privilege, and an unexamined one at that. None of this was allowed to be named as racism, but what else is it? The concept of intersectionality recognizes that people can be privileged in some ways and definitely not privileged in others. There are many different types of privilege, not just skin-color privilege, that impact the way people can move through the world or are discriminated against. White privilege would be described as a collective privilege, which, in undetected ways, forms a type of collective umbrella which largely shields whites from disadvantage in our nation. There are a number of components to this, but let me gather them under the three headings of history, society and culture. Put simply, the game of social interface and opportunity has been tragically, brutally slanted for over 400 years. This includes 350 years of chattel enslavement of black East Africans alongside extermination and reservation-confinement of indigenous Americans. Not until the 1960s and 1970s did legal frameworks and enforcement approximate equal footing. And it was around this time when the affirmative action efforts began being introduced. We are squarely 1 generation removed from the Civil Rights movement. Current retirees were privy to these social awakenings and reckonings. Imagine a baseball game where 1 team was allowed to neither bat nor play defense for the first 5 innings. For the 6th inning they were only allowed to play defense. Then, for the 7th inning, they were allowed to bat, pitch and play defense but only by rules that were egregiously skewed in their opponent’s favor. Finally, in the 8th inning, the rules are made more equitable but the umpires are all being paid by the other team (as they have been all along). At the end of the 8th inning a dugout reporter interviews the two managers. The opposing manager attributes the score to his managerial brilliance, his team’s superior talent level and their overall better preparation. The other manager is both livid and despondent at the prospects. He mentions that his team may protest the results, but has been told by league offices that any such protest will result in forfeiture. Roughly 300 years of the 400 year Colonial and Independent history of our nation have been marked by unspeakable racial inequality. Another 70 years were marked by brutal attempts to reconfigure a caste-like paradigm in the south, along with more concealed exploitative practices in the north. We are 40-some years into a more earnest (yet thoroughly fraught) national enterprise toward real equality. To refuse to acknowledge the illegitimacy of the current score, let alone dismissively hold current results over the head of non-whites and castigate them for their excuse-making can only constitute a type of delusion. Though this has disproportionately harmed blacks and indigenous Americans, epochs in our history like the Chinese Exclusion Act (1882, renewed through 1943 and reimagined to deny citizenship to Japanese, Middle Easterners and Indians) denied citizenship (a form of privilege) to non-whites on the basis of race. This is to say nothing of the of the pathological social sickness this has visited on non-white communities, nor the pain of current ugly attitudes and rhetoric toward Mexicans, Muslims, blacks and Asian Americans. My friend’s story illustrates this socio-psychological minefield. Many black communities bear resemblance to long-term refugee camps to this day, as do American Indian Reservations; that is to say that they are characterized by deprivation levels more similar to settings never intended to foster sustainable human settlement. Deprivation engenders desperation through the removal of options for viable existence (ironically, the same conditions under which slavery and native extermination arose), so non-legal ecosystems crop up from necessity, but it is a sub-ecosystem, and is susceptible to the forces of the larger system. Presently the US population is 60% white, but US incarceration levels are 60% non-white (mostly black and latino). From 1980-2008 incarceration populations rose from 500,000 to 2.3 million. Statistically, 1/3 black males will endure some form of incarceration during their lives. But this is only the obvious tip of the iceberg. It’s easy to reject this characterization as a misapplication of race in the place of class (i.e., this is just how poverty works), except that these energies saturate the realities of those across the socio-economic spectrum: stratified social constructs strip ascendant non-whites of access to broader wealth and influence and political strategizing constricts access to political power. This is why the, “Well, why don’t they just create systems and opportunities that afford them opportunities within their own communities like we did?” doesn’t hold water. This is of course happening, but when codified economic, political and legal/legislative structures define terms and parameters within which sub-entities might operate, the upward mobilities of non-white communities are absolutely curtailed. Much of this must be framed into the understanding of the final aspect: dominant culture. …white people unable to see their particularity, cannot take account of other people’s ; white people create the dominant images of the world and don’t quite see that they thus construct the world in their own image; white people set standards for humanity by which they are bound to succeed and others bound to fail. This is one of the most pervasive yet least appreciated aspects of white privilege, and is actually a lasting residue of old race-based ideologies—the idea of white normativeness. Intertwined with this is an ancillary feature; namely, that white western culture represents the normative human standard operating procedures—viz., white cultural superiority. This takes the form of preferred social modes of interaction (boisterous or deferential), vocabulary, diet, music, even skin care and beauty products. As if these didn’t create enough of a headwind, non-whites (ethnic minorities) are also confronted by mocking or belittling portrayals of their cultures. Black kids in my part of the city head to school with white characters on their backpacks, they play with white dolls, watch cartoons featuring white characters. It is part of the reason race is never out of their frame of reference, but it is also why it is rarely noted by whites. But this is national in scope. We don’t know who discovered water, but we know it wasn’t a fish. Water is all fish know; until they’re brought out of it. We all know how that looks. That’s how it mostly feels for non-whites to navigate American dominant culture—in a mode of perpetual code-switch. Whites know intuitively that they themselves can scarcely operate within the non-white world. Few do. But this isn’t just a matter of too few brown Disney princesses. It shapes how our society allows for promotion, hiring, firing, lending, housing, socializing, indicting and sentencing. Statistics overwhelmingly bear this out. We keep seeing all those glaring, persistent differences in peoples’ status. We’re assured that the seemingly transparent biological explanation for the world’s inequalities as of A.D. 1500 is wrong, but we’re not told what the correct explanation is. Until we have some convincing, detailed, agreed-upon explanation for the broad pattern of history, most people will continue to suspect that the racist biological explanation is correct after all. Diamond is nodding to the societal and pseudoscientific assumptions, which arose from the Colonial era and Enlightenment science—that whites were a superior race, even species. It was the preferred explanation until recently. In short, Europe’s colonization of Africa had nothing to do with differences between European and African peoples themselves, as white racists assume. Rather, it was due to accidents of geography and biogeography—in particular, to the continents’ different areas, axes, and suites of wild plant and animal species. That is, the different historical trajectories of Africa and Europe stem ultimately from differences in real estate. It was this story that shaped those barbarian tribes into the cultural and spiritual entity that made Europe something other than simply a peninsula of Asia. Of course there is also the obvious presupposition that economic, scientific and military superiority is synonymous with ultimate superiority, viz., that when western whites demand explanations for why they prosper and succeed, it is rooted entirely in their own views of prosperity and success. Whatever the constellation of factors actually were, during the undeniable era of the past 500-plus years, white, western civilization came into a place of vast, hegemonic power. This power was wielded on non-white civilizations with catastrophic effect. I’d like to pick up that question in my final post in this series.